What you never saw in the Beatles Anthology DVDs - George Harrison on the first time taking LSD; why no Beatle could be the leader of the group; the making of the classic A Day In The Life and what the other Beatles really thought of Yoko Ono. By Stephen Tan. When one talks of a Director's Cut, one recalls Francis Ford Coppola's version of Apocalypse Now which has chunks of footages reinstated or Ridley Scott's Blade Runner, where the entire voiceover was removed. 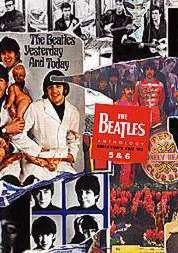 A Director's Cut of The Beatles Anthology was completed in 1993; and the official or approved version appeared in 1996 on laserdisc and VHS videotape. In 2003, a DVD version with some extras was released. While the 10-DVD Director's Cut is currently being shared and traded among fans, it has been reported that some unscrupulous fans are selling the set for as much as US$270. introduced him to the drug. But fans want to know: what is censored from the official version. For a start, even the naming of the band is a bit dodgy with George Harrison's "I give it 50 per cent Lennon 50 per cent Sutcliffe" being censored in the final version. Also missing are his comments on the initial positive experience of LSD - he felt like going up to everyone at the disco and telling them that he loved them - and that it was dentist John Riley who introduced him to the drug. It's also been reported that Harrison wanted a segment on his songwriting trimmed. Then, there is the move by the band from Liverpool to London, to the Abbey Road Studios. It is interesting to note that while the Beatles turned Abbey Road into an historical site, there is hardly any footage of the exterior of the studio or its environment or that famous zebra crossing in the final version. On the Director's Cut, on the other hand, there is a nice segment that shows the transition from Liverpool to London. And as George Martin was such a crucial member of the Beatles, there is also a bit more background on the producer in the Director's Cut. 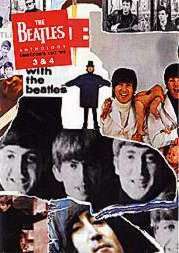 Other segments that never made it to the final version include Ringo explaining how the band methodically did the sound settings for their amps during rehearsals for the Ed Sullivan Show only to have the cleaning lady wiping off the chalk marks; and George Martin, explaining how A Day In The Life was constructed - layer by layer (it was take 4 and take 6 and not the rehearsal take that was finally used) - and the version shown featured the original "humm" ending. When it comes to the Beatles, there are three areas that fans will debate on - drugs, Yoko Ono and the breakup. One of the drug stories reported in the Director's Cut but left out in the official version is Harrison on the band's trip to the Bahamas while filming Help! : "We smoked reefer on the plane to the Bahamas, we used Mal's (Evans, road manager) cigar smoke to cover it." Another snippet left out is Ringo Starr commenting on how friendly the police were when they were touring in 1964: "The police were very good to us, they used to steal pills from the kids and give 'em to us." Another juicy bit is fifth Beatle Neil Aspinall's story of close Lennon friend Peter Brown bringing a box of chocolates filled with marijuana to the Beatle while the latter was filmming How I Won The War in Spain, and spilling them out onto the carpet. 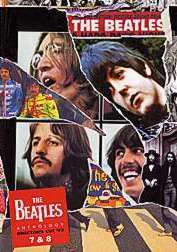 As the Beatles Anthology shows, there are no great "villains" in the story. Yoko Ono's relationship with John Lennon can be referred to and talked about but there is nothing as vehement as Harrison saying in the Director's Cut that Yoko saw the Beatles as a wedge between she and Lennon, or McCartney saying, "We were like her courtiers." To some, Yoko was the one who introduced heroin to Lennon and, according to Peter Brown in the book, The Love You Make: An Insider's Story Of The Beatles, "many of John's intimates saw heroin as the way Yoko could gain complete control over John. If there was one single element that was the most crucial in the breakup of the Beatles, it was John's heroin addiction." everyone's got their own things." As if that explained everything! It is while comparing the officially released DVD and the Director's Cut that one is struck by the emphasis placed on certain people and events. In that sense, one walks away with the impression that there are more personal comments and less concert and TV shots in the Director's Cut. With the exception of the abovementioned, the Director's Cut generally does not offer drastic revisions. Very often, it is one line here that is added or taken out, for example, on the Revolver album, Aspinall adds: "They never practised their Revolver songs to do on stage," or George Martin commenting on why no one Beatle could become the leader of the group: "None of the others would have stood for it." At times, it could be one shot there that is missing or changed. For instance, in the segment on the early days of the Beatles touring with Helen Shapiro, there is a shot of her with Lennon in the Director's Cut but none in the official version. Or that different sound/song mix being used, for example, different intros were used for Paperback Writer and Rain promos. Some of the footage carries a time code and the music promos for Day Tripper and We Can Work It Out carry the subtitle "Temporary Picture." Or it could be that different shots were used. For instance, on Disc One and Two of the Director's Cut, McCartney is shown in interviews wearing a polka-dotted shirt. On the official release, he is wearing a dark turtleneck. Similarly with Harrison, who is sporting a moustache and shown being interviewed in a control room. The official release features a clean-shaven Harrison. In such instances, while the gist of the interview may be the same, the delivery could have varied in the final version. One of the show's conceit is that there is no narrator for the series. Such a narrator, no matter how objective, can, by tone of voice or choice of words, sway the viewer. As it stands, the Anthology tries to allow each character to tell his side of the Beatles story in his own words. It is because the players all get a bit more say in the Directors Cut that makes it essential viewing. Click here for a full breakdown of the changes between the Directors Cut and the final version. 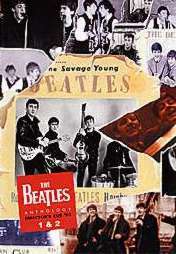 The Beatles Anthology Director's Cut is part of the BigO DVD Archive of Rare Films. Visit http://www.bigomagazine.com/tradelist/dvdlist.html for the full list.